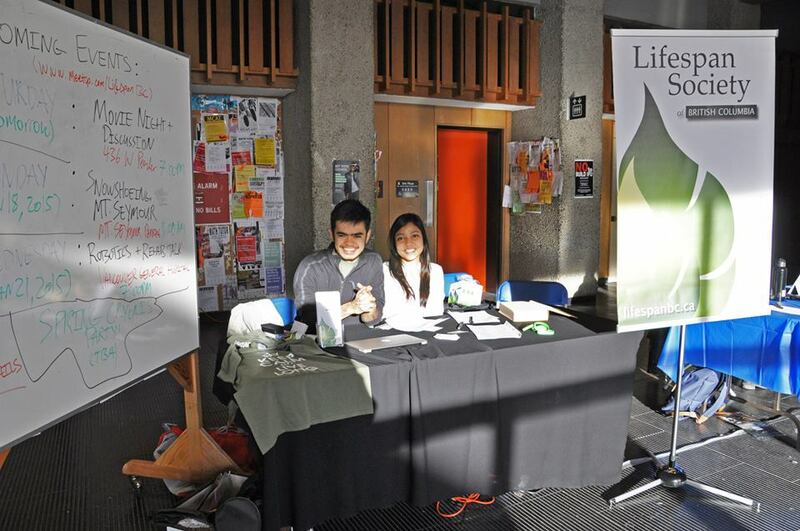 Lifespan is pleased to announce the creation of the SFU Lifespan Club. Lifespan member and SFU student Kenneth Bruskiewicz has taken the lead in the formation of a new student group on campus at the top of Burnaby Mountain. At the recent club days 25 members signed up. The SFU Lifespan club will hold its own events as well as taking part in events put on by the Lifespan Society. We look forward to introducing this new audience to the concepts of multi-disciplinary life extension. Thanks to Globalme for supporting our event by providing projection equipment.